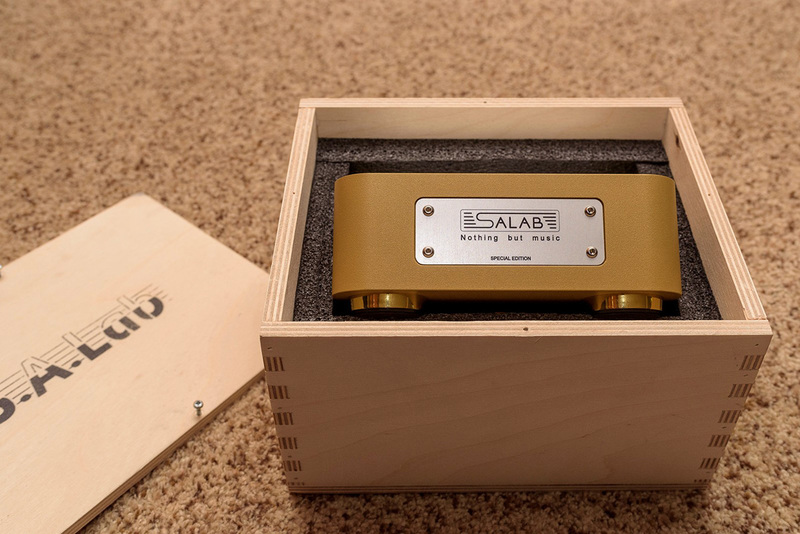 Readers who have been following us for a few years are probably familiar with S.A.Lab, arguably the premier boutique audio manufacturer in Russia whose electronics, from the affordable yet over-performing Blackbird to the unobtainium Erato, have been showcased in our pages on multiple occasions. I will let you dive into our archives to get a better feel for this 13-year old company, its founder Alexey Syomin and its history. What stands out to me is a propensity for extreme build quality—some might even say over-engineered—regardless of the price point considered; as well as a consistent sonic signature leaning towards the richer and saturated side of things due to the systematic use of tubes and transformers. 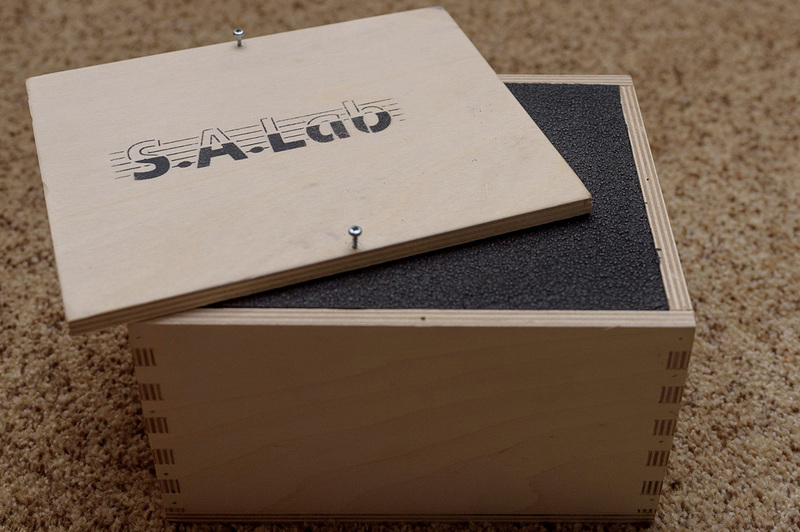 S.A.Lab have created a name for themselves through custom designs requiring the utmost quality and it shows in everything they do. 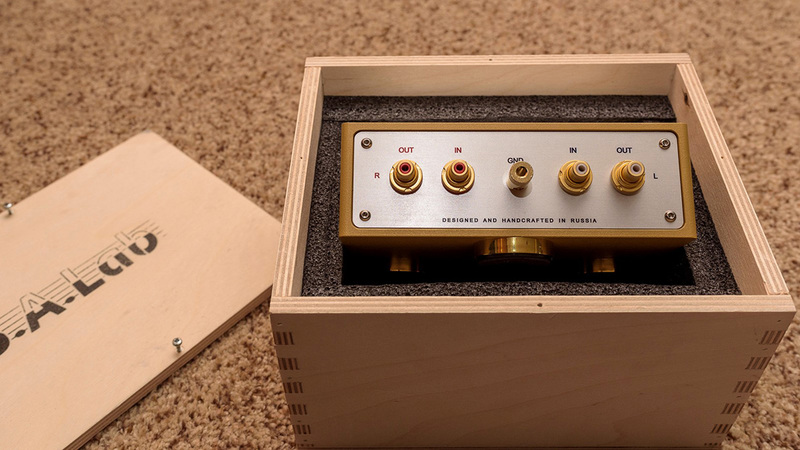 Tubes, transformers and massive construction will also showcase prominently with the two components under review here, first a phono step-up transformer followed, in part II, by the Thunderbird, a brand-new linestage and phono preamplifier weighing more than most integrated amplifiers I have owned or reviewed. Step-up transformers (SUT) are certainly not the most common product category and one that does not see new entrants very often. It was intriguing to listen to what such a component, built to extreme standards, could do. I have on many occasions listened to similar components from Bob's Device, Ear and Music First Audio but never in my system; and never for reviewing purposes. 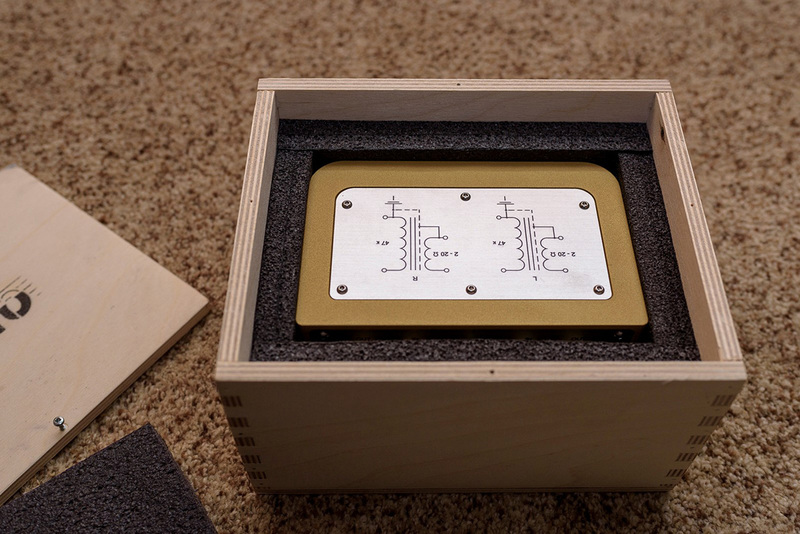 Step-up transformers do pretty much just one thing: take the very low voltage output of a moving-coil phono cartridge and amplify that signal sufficiently to be acceptable for a moving magnet phono amplifier that requires higher voltage because its own gain is limited. Now why in the world would you want to do that instead of using a phono preamp that accepts a very low-level MC signal directly? Two reasons really if we want to keep this discussion simple. First, designing an accurate MM phonostage with low noise and accurate RIAA correction is apparently a lot easier. Hence even phono preamps with a dedicated moving coil input most of the time really place two gain stages in series, the first one bringing the MC signal to MM level. Now the question of a step-up transformer is why not do it externally with an optimized component that's appropriately shielded? The second reason for SUTs is their being purely passive devices just like the cartridges that precede them. Theoretically at least, they should have a significant advantage of noise floor versus active transistor or tube gain. That's one of the reasons why Nagra use transformers for their MC phono stages and why I got interested in checking out a standalone transformer. Step-up transformers rely on the fact that cartridges, although of very low voltage output, are quite capable producing current. The transformer just reverses that relationship. It produces a higher voltage signal with low current. How much gain and impedance are seen by the cartridge is primarily dictated by the turns ratio between primary and secondary transformer coils. If you are interested in the physics and math behind how transformers work, let me point you to two very informative articles here and here. If you are like me and prefer to get down to the 'so what', know that theoretically a turns ratio of 1:10 to 1:15 will work well with all but the most whimsy MC cartridges; and that it will match fairly well with all cartridges except those with very high or very low internal impedance. In practice, even cartridges that should not really be a good match like a low-output/high-impedance Zu-DL103 end up sounding better than they have any right to anyway. That's because the spirits that govern audio have a wicked sense of humour and enjoy keeping us on our toes. The S.A.Lab step-up transformer exists only in one version with a 1:15 turns ratio to result in about a 208Ω load suitable for most partridges with an internal impedance of <40Ω unless they have very low or very high output levels by MC standards. Of course your individual mileage may vary. Picking a suitable SUT requires finding the right compromise between loading and gain. Although 1:15 covers a wide range of popular cartridges, it will not be a universal solution. The S.A.Lab transformers are wound in house from pure silver wire to minimize internal resistance of the primary coil. In addition, extreme care was given to electromagnetic shielding with the use of a permalloy inner case.